There will be a Team Captains meeting, tentatively scheduled for Tuesday, May 21, 2019, at 4 p.m. at Kentucky Country Day School. This will provide everyone an opportunity to see the Corporate Games’ location and ask any last-minute questions. Participant waivers are to be turned in at this meeting. Click here to view the event rules. Click here to view scoring for each event. Click here for a map of Kentucky Country Day School’s campus that shows where each competition will take place. Teams are encouraged to use the Corporate Games logo to promote your company’s participation in the Corporate Games. Below are logo files that may be used in both internal and external promotions or for your team t-shirts and tailgating designs. The logo can only be used “as-is” and cannot be altered in any way including colors, fonts, and layout. You must keep all wording intact. If your company decides to create a team shirt and you choose to use a single-color logo, you can print in whatever color you wish to match your apparel and design. When using the name of this event in written form, please note that the official name is Louisville Sports Commission Corporate Games presented by Humana. You must use the name in its entirety on first usage within a document. Upon second and subsequent usage within the same document, you may refer to the event as the Corporate Games. 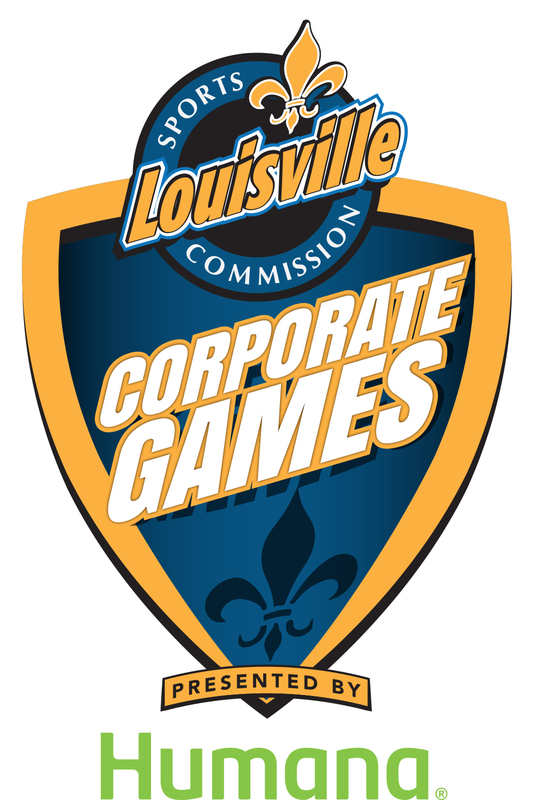 For more information about the Louisville Corporate Games presented by Humana, please contact Stephanie Chalko at 502-736-3498 or schalko@louisvillesports.org.